Hyperbaric facilities are capable of offering safe and effective treatments on an ongoing basis. This will ensure that all accredited facilities offer comparative levels of service and that patients and reimbursement organisations can both expect the appropriate value for services rendered. This will aid us in creating economically sustainable centres that are always available for our country’s patients. A hyperbaric operation is indeed a complex system, with a multitude of requirements covering aspects of medical practice, occupational safety, controlled medication, dealing with the public and having significant financial responsibilities. In order to determine compliance, we have selected a process that is drawn from a combination of local statutes, regulations and standards, international practices and standards, and relevant industry standards on equipment, safety and operation. The Risk Assessment Guide, published by International Atmo in the US but originally compiled for SAUHMA back in 1998, provides both the relevant rationale as well as the minimum safety requirements for the installation and operation of both monoplace and multiplace hyperbaric facilities. This publication is available for purchase from the SAUHMA office. all the associated facility safety concerns (including general and specific fire and related oxygen system hazards). Preparation for the assessment review is not onerous and simply requires access to the facility records, physical access to all parts of the operation, and the presence of key technical and medical staff in order to ascertain how the facility conducts its operations. The intent is not a pass-fail inspection, but rather to obtain a report and inventory of current status and compliance, with specific direction on how to achieve full compliance where this is not achieved. There is no penalty or any adverse announcement during the period of adjustment if this is required. The review team comprises a SAUHMA-appointed medical practitioner and the SAUHMA technical advisor – both professionally qualified and competent persons. On completion of the assessment, a detailed report is prepared and submitted to the facility management for their review and comments. This report is offered as an overall safety assessment and any issues not in compliance with mandatory requirements, as well as recommendations for improved practice are clearly indicated. The SAUHMA executive committee will then review the final report, together with a suitable response from the facility on any non-compliance issues, and will then decide on whether a Certificate of Endorsement may be issued. The Certificate is valid for a period of 4 (four) years from the date of issue, where-after the facility shall require an updated assessment prior to a new certificate being issued. The nature and extent of this updated assessment is dependent on the actual status of the facility. SAUHMA maintains the current list of accredited facilities on its website and regularly forwards the list to both medical reimbursement organisations as well as the Department of Labour, to validate the compliance of these facilities with statutory and HPC requirements. Through this detailed, well-developed and certainly appropriate process, SAUHMA is providing all its affiliated facilities with up-to-date guidance on safety and operational issues, while providing reimbursement organisations (and the public at large) with the assurance that minimum quality and safety standards are being complied with. 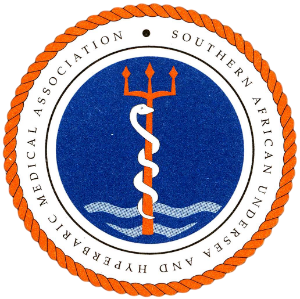 It should provide all interested parties and stakeholders with the confidence that hyperbaric medicine in South Africa is at least at the same level as such practice being conducted in the rest of the developed world. Please contact Dr Jack Meintjes should you wish to apply for accreditation of your facility.